Many thanks once again to all those who donated to our campaign to preserve, protect and replace Springfield Road trees. It was a marvellous effort and no doubt those involved are wondering what happens now – so here is an update. Since our crowdfunding campaign successfully closed we have been in close contact with the Council’s arboriculturalists who are checking which trees already need to be replaced, and assessing which trees are in danger. These sites once formally identified will therefore be preserved, we are assured, even if it takes a long while before actual replacement happens. The process will however be slow, as dead tree sites need in due course to be ‘ground out’ and we are told ordering trees happens at least a year in advance. For each site we will make the financial contribution from the funds raised as planned. It is possible we may see some replanting next spring, we are hoping for that, and certainly no later than the season after. Looking longer term there has been much discussion about protecting our new trees when they arrive. All ideas are welcome, and Councillor Littman and residents are in discussion about how best to make sure saplings are not damaged by vehicles. All ideas are welcome. When more is known, it will be posted as a further update on this site. Thank you once again to everyone who supported this. This entry was posted in Community, Streets In Bloom and tagged Save Our Trees, Springfield Road on 08/02/2018 by srraadmin. 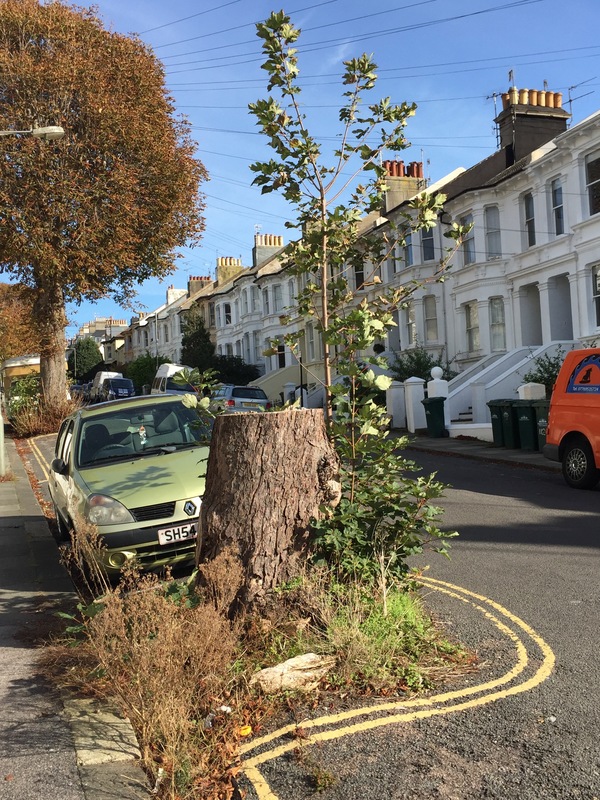 We have reached our target to protect and replace the trees in Springfield Road! Some wonderfully generous pledges have been made today to get us over the line, in addition to those received throughout our campaign to save these trees. All our lovely backers will now receive confirmation from Spacehive that their pledges will be collected in the next couple of days, and they will have the personal satisfaction of knowing they played a real part in securing these beautiful assets for generations to come. Huge thanks to everybody who has contributed, we can’t thank you enough. Watch this space for progress reports, as we will shortly be able to return to the Council’s arboriculturalists to report our success, and to arrange and negotiate the practical steps now needed to finalise this project. Thanks again. This entry was posted in Communications, Community, Streets In Bloom and tagged Save Our Trees, Springfield Road, Trees on 14/11/2017 by srraadmin. Help Save Our Trees – Only £100 left to find! This entry was posted in Communications, Community, Streets In Bloom and tagged Save Our Trees, Springfield Road on 13/11/2017 by srraadmin.